2-tier foldover veil (elbow + cathedral) with folded ribbon edge. Complete your ensemble with classic elegance. 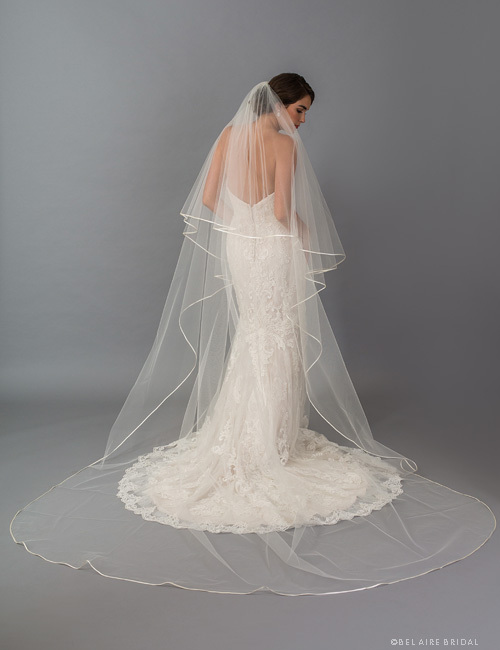 A 2-tier foldover veil (elbow + cathedral) may be worn forward for the walk down the aisle and later flipped back for a cascading look. This lovely design features a simple folded ribbon edge. Available in diamond white, ivory, latte, or white.